I originally took this picture in April 2007 in El Pellizco, zona near Chichigalpa, Nicaragua. Since then I have seen it circulate and take on identification from many other areas of the world. My bad for not watermarking in the moment. However, here it is, updated with the original owner's mark. 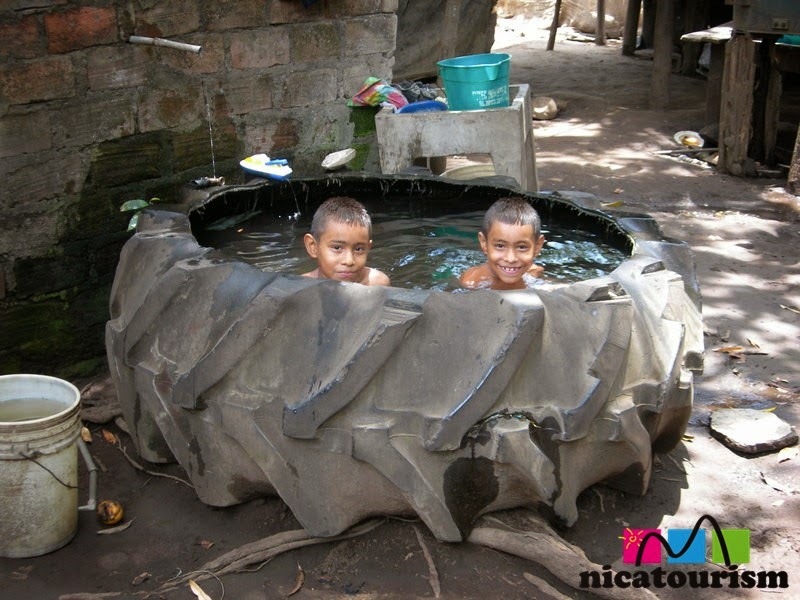 THIS IS NICARAGUA, OK? Summer is here...it's hot and these kids really know how to take care of things!! !